Detailed Australia maps are such a great asset when planning a trip ‘downunder’. In the old days you would bought a map book from a bookshop, but times have moved on. In today’s digital world, there is an array of mapping tools available. In fact, we use them in our travel app (view how we work) to make your travel easy and effortless – so beneficial for a well planned holiday. However, if you still want to consult the ‘old fashioned maps, they will give you accurate distances for Australia. With interactive Google Australia maps, you can zoom in and out for the details. However, there is a ‘down side’. With Google maps, travelling times from A to B are often underestimated. This is especially the case when it comes to winding roads in places like Tasmania. So keep this in mind and add a 10% margin, in case you have to be in a certain area by a specific time. When travelling Australia and using detailed Australia maps, we recommend that you consider the seasons, weather and road conditions. If you’re unsure about the road conditions, try talking to the locals. Getting local info will be really helpful, especially if you’re exploring the Outback. Sometimes, permits are required for specific roads. If you’re travelling in a 4WD on remote roads, we recommend that you hire a satellite phone- just in case you need to call for help. Remember, Australia’s wilderness area is beautiful, but there are dangers to be aware of. Consider the different types of roads you will be travelling throughout Australia. The eastern coast roads are state highways. These are sometimes scenic, but there’s not a lot of variety (e.g. sugar cane for 200 miles in Queensland). Roads along the southern coast of Australia – such as the Great Ocean Road – are beautiful. By using detailed Australia maps or local tourism charts, you’ll get helpful info on interesting places to stop. This should be a very special trip for you, right? 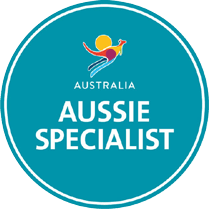 So why not use a local Australia travel expert to plan your holiday – free to you!